James' grandmother Mimi always added a knob of butter to her onions to boost the flavor as they browned in oil, and then simmered the greens slowly, adding water as needed to keep them submerged. For serving, James says, "I use my large, enameled cast-iron stew pot. 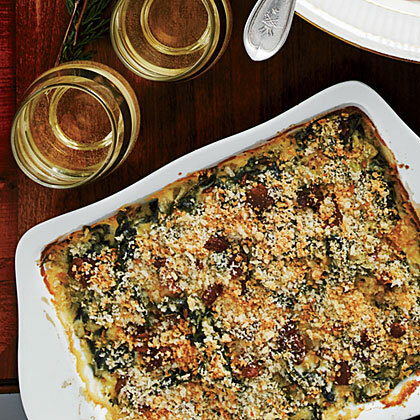 It keeps the greens warm and offers a nice presentation." 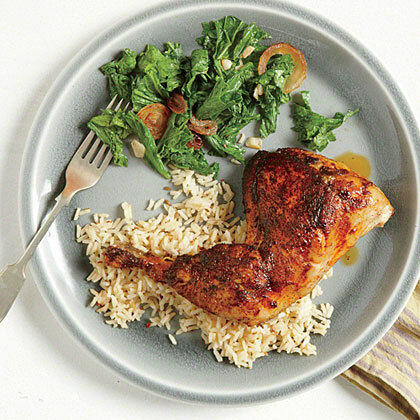 The tangy, bold taste of Mustard Greens pair well with our Roasted Chicken. This complete meal of Roasted Chicken with Mustard Greens produces juicy and tender meat, while the greens are a welcome departure from salads. 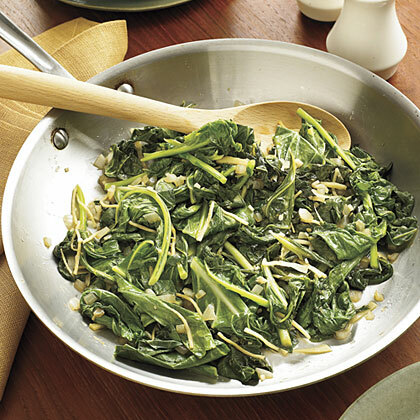 These quick collard greens get their incredible flavor from chicken broth, chopped garlic, and crushed red pepper. 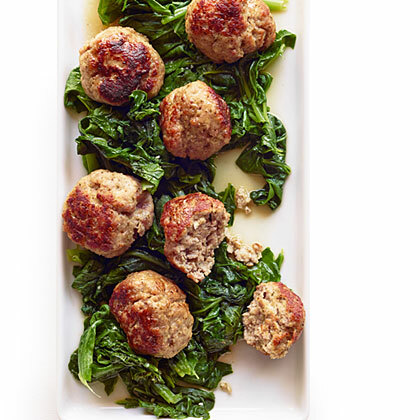 The bracing flavor of mustard or dandelion contrasts nicely with the savory meatballs, but you can use any greens you like (tougher greens, like kale, may require longer cooking). Serve with hot polenta on the side. 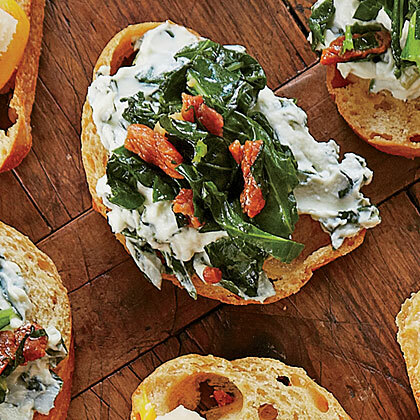 Creamy and salty Ham-and-Greens Crostini takes its inspiration from a classic Southern dish. 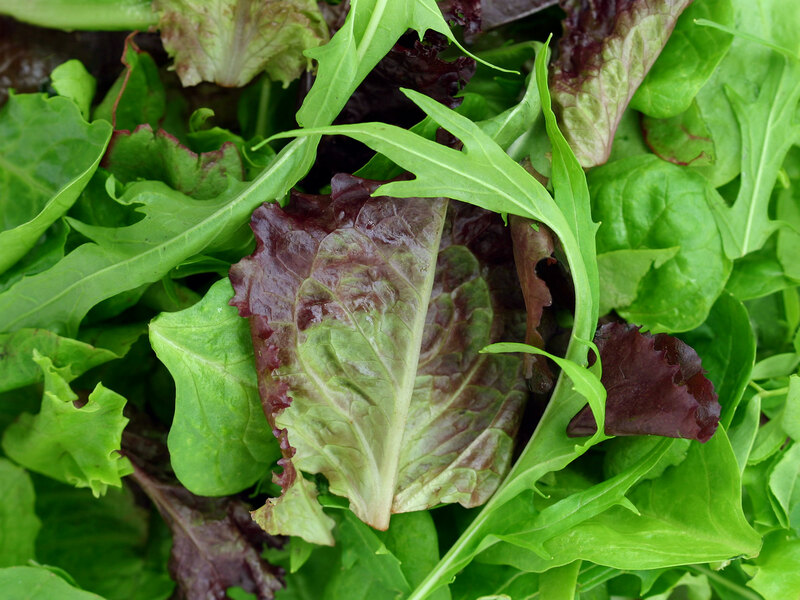 To make ahead, refrigerate cooked greens up to two days. The base is an easy French bread Crostini. 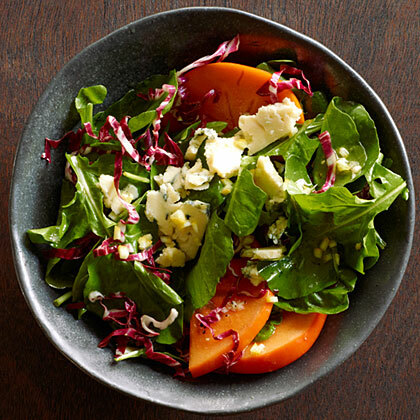 Persimmons' sweetness rounds out the slightly bitter greens, salty blue cheese, and citrusy dressing in this salad. Meyer lemon, diced peel and all, provides bursts of flavor; if you can't find it, use regular lemon and a touch more honey. No one likes seeing that slimy, bitter mess in the bottom of their crisper. 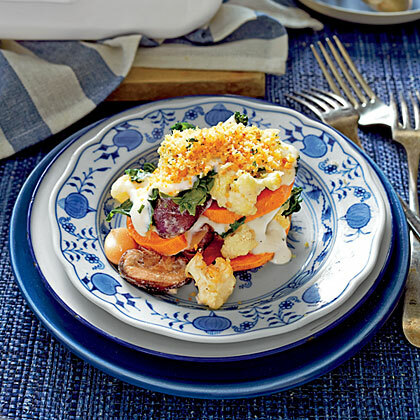 We love the versatility of this simple entrée--a hearty choice for breakfast, lunch, or dinner. 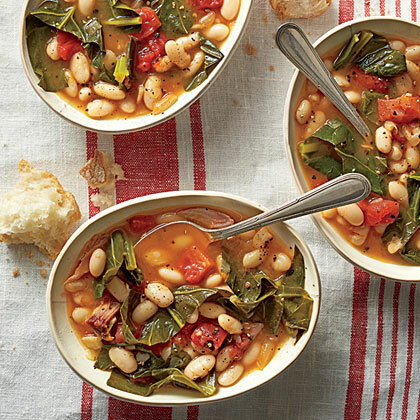 We like the tenderness of lacinato kale, but you can substitute other varieties in this soup. Move over, creamed spinach--there's a new steak house side in town. 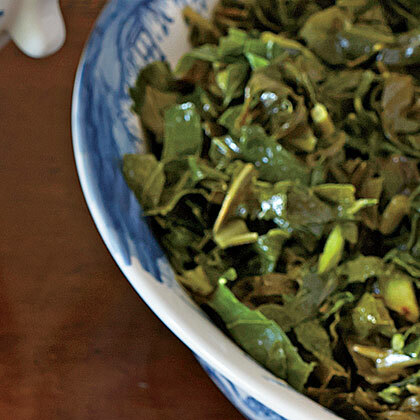 Give the packaged collards an extra chop with a sharp knife to get them to bite-size pieces. 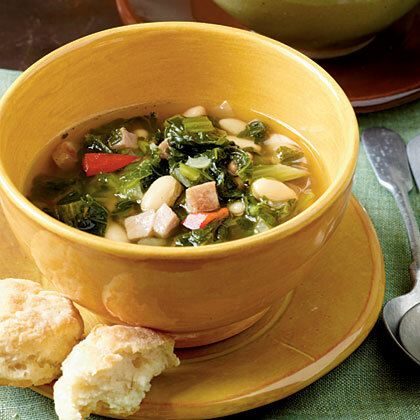 Collard green soup is a wonderful way to prepare these nutrition-rich winter greens. Great Northern beans, chopped yellow onion, white wine, garlic, and fresh thyme give this soup incredible flavor. For a weeknight supper, serve with slices of crusty bread spread with goat cheese. 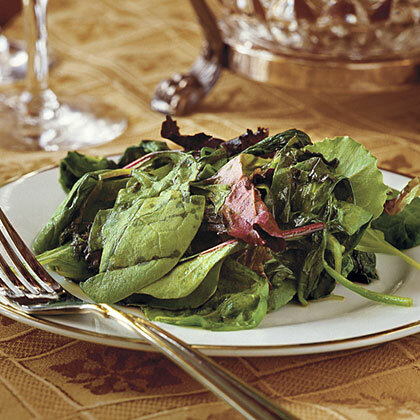 If you love greens with ham hock, try this recipe. Why it's better for you: Lean ham and fat-free broth offer the good flavor of the original dish minus the added saturated fat. Beans add extra fiber too! 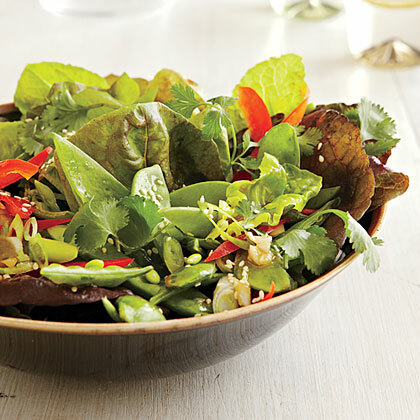 Fall's sweet, crispy leafy lettuces star in Mixed Greens Salad with Hoisin-Sesame Vinaigrette. Smoked ham hocks are inexpensive and give the dish rich flavor; substitute with ham steak if you prefer. This dish defines easy, relaxed cooking, so don't stress over measurements. 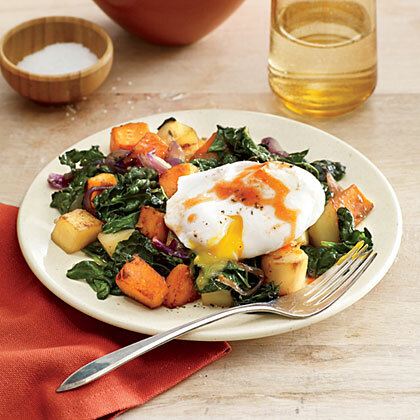 Turnip greens, kale, and mustard greens come together in this healthy winter dish.